At the end of World War 2, the Dutch Field Security began hunting down the Dutch citizens who had collaborated with the Nazis during the German occupation of Holland. 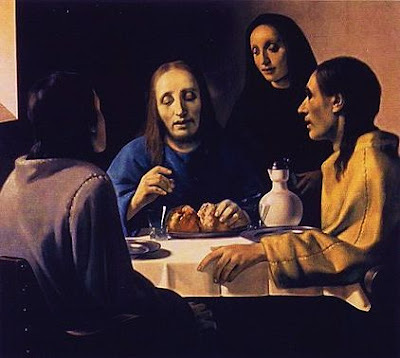 One such investigation concerned the sale of an artwork, The Woman Taken in Adultery, sometimes also called Christ and the Adulteress, painted by the 17th century Dutch artist Vermeer, which had been sold to Reichsmarshall Hermann Gőring. 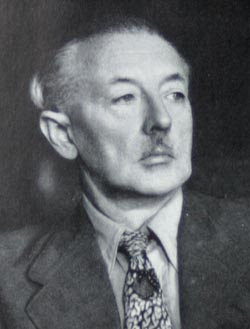 Gőring, commander of the Luftwaffe, stripped countries of their artworks and shipped them to Berlin. The Vermeer was showcased in his villa near Berlin. With the approach of the allied forces, he hid 6,750 pieces in a saltmine in Austria where they were discovered by US forces, the Vermeer among them. 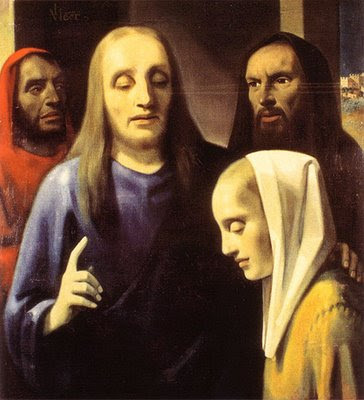 Miedl had no hesitation in advising the authorities that the newly discovered Vermeer had been sold to him by Dutch citizen Han van Meegeren. 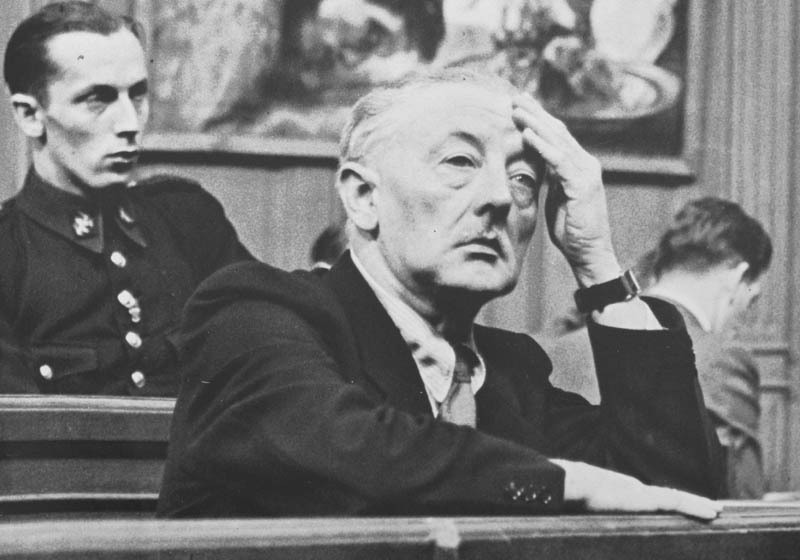 Van Meegeren was arrested, charged with aiding and abetting the enemy and kept locked up pending trial. As a collaborator and a plunderer of Dutch art works, part of the national heritage, he faced an extensive jail sentence. Vermeer was a Dutch painter who had only moderate success in his lifetime but who has since come to be regarded as one of the greatest of the Dutch Golden Age of painting in the 17th century. Examples of his more famous works are Girl With a Pearl Earring (1665) and The Milkmaid (1658). 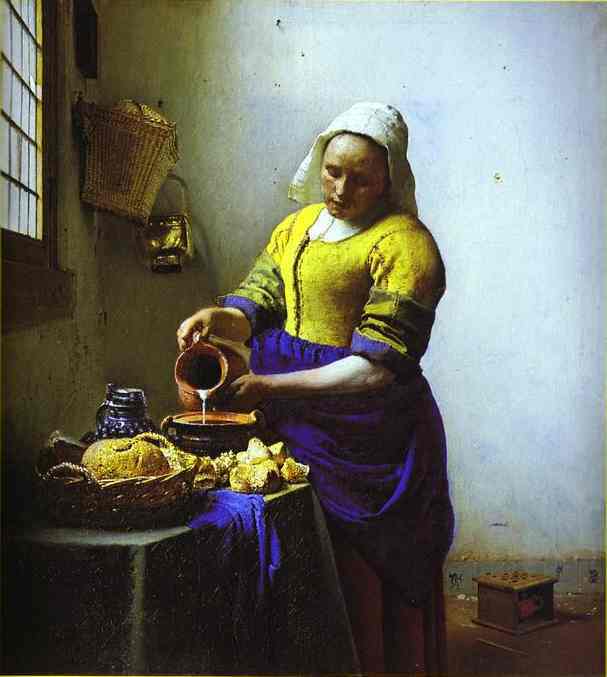 Appreciation of Vermeer’s works and ability had developed in the 1930’s after a long period of obscurity. Coming to be regarded as a genius, there were few of his works in existence. Scholars believed that there were missing works bridging the gap between his early religious works and the later secular ones. 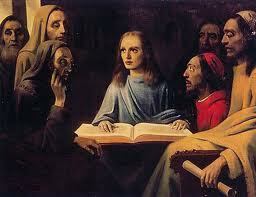 One long lost Vermeer appeared in 1937, The Disciples at Emmaus. It was explained that the sale was by a Dutch family living in Italy and that it had to be kept low key and confidential so as not to alert the Fascists to artworks leaving Italy. A noted art historian, Dr Abraham Bredius, examined the work for 2 days and pronounced it genuine. It was then purchased by the Rembrandt Society for 520,000 guilders. 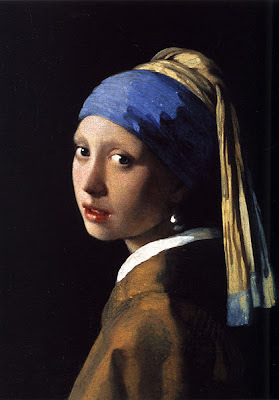 The work was acclaimed by some experts as the finest Vermeer yet seen. In his defence of having sold a Vermeer to the Nazis and having aided and abetted the enemy, van Meegeren pleaded that the work sold had not been a genuine Vermeer. Moreover, insofar as he had traded the painting with Miedl for 200 Dutch artworks, he felt that he should be regarded as a national hero, not a collaborator. The authorities refused to believe his claims. 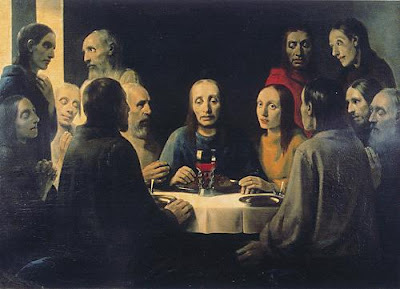 Van Meegeren told them that he had faked not only the Woman Taken in Adultery, but also five other Vermeers and two Pieter de Hooghs, all having come on to the market since 1937. He also suggested that they take a close look at the Emmaus. He offered to paint them a Vermeer under their very noses. They accepted the proposal and it was agreed that he would paint one of his fakes in the presence of court-appointed persons and reporters. As a child, Han van Meegeren wanted to be an artist but his father was hostile to the idea, deriding him and repeatedly making him write 100 times "I know nothing, I am nothing, I am capable of nothing." Not exactly a Father of the Year nominee. Nonetheless Han commenced an artistic career. He achieved some early moderate success as a portraitist, especially painting portraits of rich American tourists, as well as receiving some critical acclaim for his understanding of the techniques of the Dutch masters. With the art scene captivated by surrealism and cubism at the time, his Dutch masters style and techniques drew criticism from the critics. One wrote "A gifted technician who has made a sort of composite facsimile of the Renaissance school, he has every virtue except originality.” Van Meegeren responded with a series of articles in art journals attacking his critics, which eroded any remaining sympathy that he might have had. 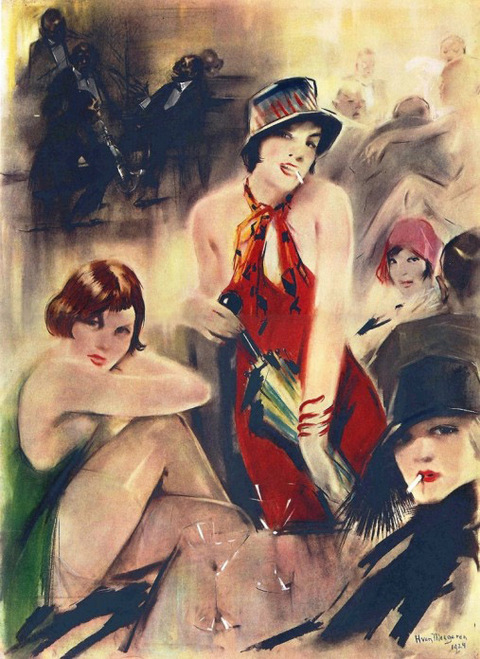 Van Meegeren later stated that he intended his forgeries to act as a refutation of the criticisms he had received, that he intended to fool the critics and the art establishment that had rejected him. He wanted to prove both that he could paint in the style of the old masters and create works in that style that would be as great, if not greater than any works already existing. In his words: “Spurred by the disappointment of receiving no acknowledgements from artists and critics....I determined to prove my worth as a painter by making a perfect 17th century canvas." Recently doubt has been cast on those stated motives. Books released in 2009, Edward Dolnick’s ‘The Forger’s Spell’ and ‘The Man Who Made Vermeers’ by Jonathan Lopez, portray van Meegeren as having been involved in forgeries in the 1920’s, much earlier than he himself stated, as a means of obtaining easy money, and as a Nazi sympathiser. From 1932 to 1937 van Meegeren experimented with canvas, materials and techniques. He bought lesser works by unknown artists from the period and painted over the canvases. He made the paints using the original formulations, added plastic Bakelite and heated the paintings in an oven for hardening. He then rolled them to crack them and rubbed India ink into the cracks. The 2009 books mentioned earlier make the point that what enabled the scam to work was the willingness of the critics and experts to be duped, all set against a background of backbiting art critics, rivalry amongst scholars, shady art dealers, crooked businessmen and experts who were happy to see colleagues fall. In the presence of the court appointed witnesses and the reporters, van Meegeren painted Jesus among the Doctors, also called Young Christ in the Temple. As the work progressed, the charge of collaboration was dropped and van Meegeren was released pending his trial. Charges of forgery were added. 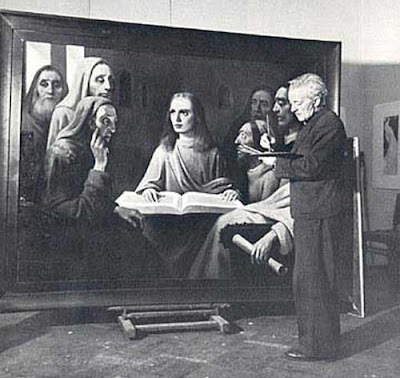 In response, van Meegeren refused to disclose how he had aged his paintings and refused to finish Jesus Among the Doctors. 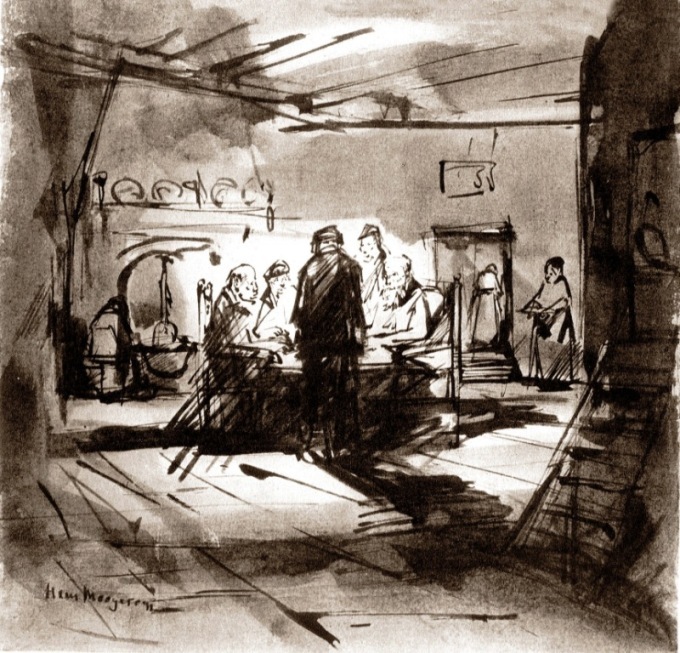 The paintings van Meegeren had nominated, including Emmaus, were chemically tested and X rayed. All were established to be forgeries. On 12 November 1947 he was found guilty of forgery and fraud, and he was sentenced to a minimal one year in prison. 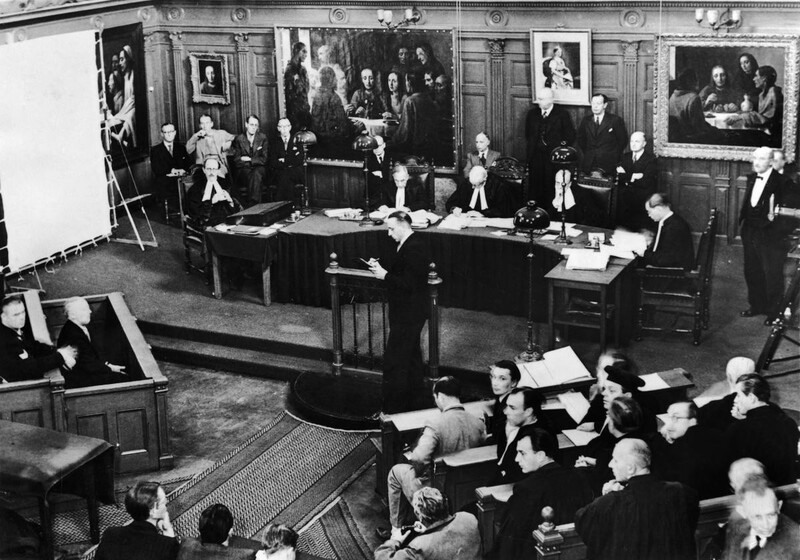 On 26 November 1947, the last day to appeal the ruling, van Meegeren suffered a heart attack. Taken to hospital, he suffered a fatal further heart attack on 29 December 1947. Van Meegeren made the modern day equivalent of $30m from his forgeries. After his death, the court ruled that van Meegeren’s estate be auctioned and the proceeds from his property and the sale of his counterfeits be used to refund the buyers of his works. This was an empty gesture in that van Meegeren had put nearly all of his assets and wealth into his wife’s name. An earlier court case concerning his bankruptcy had held that she was not aware of his fraudulent activities and therefore she was able to retain the assets. She died at age 91, a wealthy woman. There are at least 17 known forgeries by van Meegeren and psthumously they have been shown around the world in numerous exhibitions. There are believed to be more forgeries and fakes hanging in collections worldwide. His own artworks became more valuable following his death, with the ironic result that it became profitable to forge van Megereen’s works. In a further irony, van Meegeren’s own son, Jacques van Meegeren, began forging his father’s works and style in a much lower quality, with a perfect H van Meegeren signature. 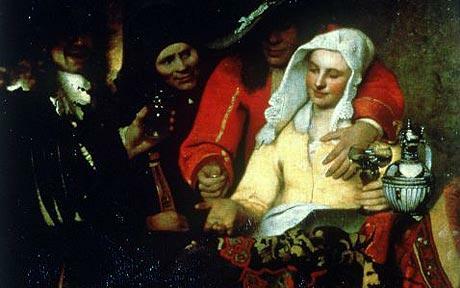 In 1960 the Courtauld Institute of Art in London was presented a van Meegeren, The Procuress. It had been accepted as a fine example of forgery by the art world’s greatest hoaxer. The gift had been made by Professor Geoffrey Webb, a specialist on historic architecture. He had received the painting in the Netherlands as a gift for helping with the restitution of works of art and believed it was a Van Meegeren fake which had been recovered by the Dutch authorities in 1945 from the forger's villa in Nice. Scientific research in 2009 has concluded that rather than being a van Meegeren knock off, the painting is an authentic work. The research has revealed that The Procuress is a version of the 1622 brothel scene by the eminent Dutch painter, Dirck van Baburen and that it is depicted in the background of two works by Vermeer, leading to speculation that it hung in Vermeer’s own home. In a reversal of a valuable art work being proven to be a fake, this will probably be the world’s only example of a displayed fake being proven to be a valuable original.